iMA Practitioners are trained to teach you iMA principles, fundamentals and concepts that can help you communicate more effectively and connect with people at every level of your life. Your success, happiness, effectiveness and future are dependent upon your ability to communicate effectively and connect with others. Connectivity is a fundamental life skill, and up until now, little or no training has been available. 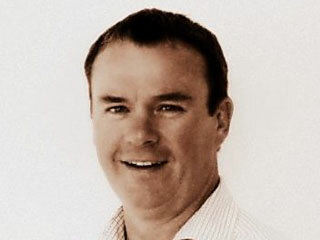 I am the Australia and NZ Director of BoB Clubs (Business over Breakfast) and a Director of PlusOne Dynamics – specialising in strategic networking and effective organisational communication. I have been an accredited iMA Practitioner since September 2011 and at PlusOne Dynamics we employ iMA Strategies across our entire business. PlusOne Dynamics use the iMA programme with clients and international partners to drive business success forward through increased connectivity and communication combined with the ability to network effectively and strategically. We work within iMA’s systematic, predictable framework, offering specialised in-house iMA Team Dynamics Audits, iMA consultations, team development, team building and team communication workshops to our clients, their Leadership Teams, Departments and Staff. We come to you across Australia and New Zealand and will also travel internationally. We also deliver guided public workshops to teach our clients and other professionals how to understand peoples' different communication (iMA) styles and how to apply this knowledge to strategically build a network and leverage off that network. Being high end users of the LinkedIn business networking platform, the Directors of PlusOne Dynamics (of which I am one) also deliver a comprehensive one day workshop on how to understand, set-up, use and leverage off the LinkedIn platform (including our own tips and tricks for this powerful networking tool). I am keen to talk to and connect with anyone who would like to increase their business development capabilities, to improve organisational communication & connectivity and to explore business partnerships or joint ventures. Connect with me on LinkedIn or contact me by email. I have a large international network, have lived, worked and travelled around the world and welcome new connections. Through my career development, which included work, education & life development, I have come across and encountered many challenges, but the most challenging period of my life is the last 15 years. Through that period I started my career as admin assist in the year 2001 & escalated to be General Manager for a hospital in the year 2010 (managing 350 employees), then I established my own contracting company before one & half years. I went through many work experiences and had my failures & successes. I see myself blessed with all the challenges and experiences that I have encountered, where the death of my both parents and the sickness of my child (which left him as a beautiful & life inspiring handicapped child) were the main reasons for my self-actualization and to appreciate the importance of sustainability, governance, and most importantly social common good. Along my way I came to know iMA strategies and I was curious to learn more about it. After I researched it, I decided to become an iMA Practitioner due to the simplicity of its method and depth of its approach in defining people. The main factor that iMA concentrates on is "Connection" & connecting people; this is exactly what I loved about iMA. In order for a person to communicate, they have to connect and this can't happen without proper understanding for the opposite person through brief and direct description for his/her behavior. iMA can help in understanding people at a closer circle i.e. family, friends, relatives and on daily interactions aside from business. In business iMA can help in defining and identifying employees and assigning them the right assignment, understand their weaknesses and strengths, develop their careers, etc. in order to improve productions and returns. As of my personal level and objectives I pursued iMA to help me in connecting with people to convey my political message for the parliament campaign that will take place in mid of 2017. Understanding the people working with me in the campaign & the people receiving the message of my campaign is very important as the importance of the political message that I want to convey for achieving success. therefore, I believe iMA will play a huge role in the campaign and then after when deploying my goals and objectives. 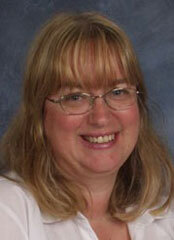 My name is Christine Alexander-Smith. I am a learning Development Consultant who specialises in helping people engage within organisations and in their personal lives. I was looking for a tool which would transend age, ethnicity, gender and cultures and really facilitate people connecting simply and quickly, when I discovered iMA. I found it to be a fast systematic mechanism which connects people right across the board in all areas of their professional and personal lives. Before becoming an independent consultant, I worked for corporate organisations such as IBM UK and EMEA, Siemens, Vodafone and banks such as the First National Bank of Chicago, and Commerzbank to name just a few up to board level. I have embraced iMA to help my clients connect with their employees and customers on a global scale. 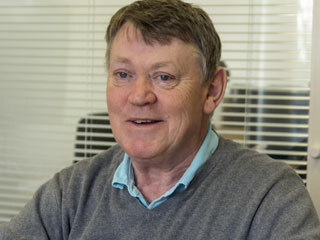 Jan Ballard Director of Lewis Ballard, Officially The UK's Most Inspiring Accountants can be attributed with developing many of the structures and systems that have underpinned their business success. As a busy mum of 4 she started as an admin assistant in 1996 when her youngest child started nursery and from these humble beginnings has progressed to become a Company Director. A published writer, with a keen understanding of building, developing and motivating teams and promoting and marketing a business, she leads the drive for continual improvements in training and development at all levels, and raising the business profile and contribution. As a result the practice is now multi award winning and has achieved both Investors in People Gold accreditation and ACCA Platinum Trainer status and Jan and her husband Neil are both proud Ambassadors for Velindre Cancer Care Hospital and B1G1 (buy 1 give 1) members. They are now consistently able to deliver on their mission to change people's lives, for their team, clients and the broader community. 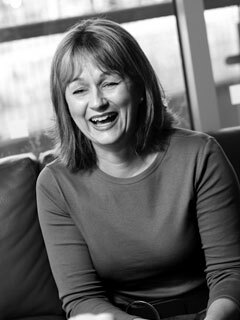 As HR & Marketing Director Jan is a level 5 Associate Member of The Chartered Institute of Personel and Development with a real focus on continually developing new skills. Studying with some of the top business and marketing experts in the world, starting with The Hearts and Minds Marketing and Personal development programme with Michael Heppell, she had individual coaching with global marketing expert Paul Dunn and recently completed the Mastery University programme with Tony Robbins. 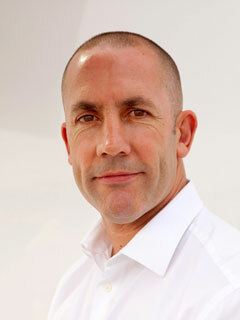 She is currently undertaking training with one of UK's top marketing experts Peter Thompson. Jan has also trained in Disc profiling. All these skills are fully utilised to help Lewis Ballard clients in Business momentum and life coaching sessions held jointly with her husband Neil. Jan became an IMA Practitioner to build greater connection and more effective communication with her team, clients and family. “I see iMA as a wonderful yet simple tool that can be used in coaching and everyday life to strengthen relationships and improve the performance of the teams and businesses they help. Hundreds of the UK’s leading accountancy firms are members of an association called AVN whose purpose is to provide its members with resources, tools and support to help them become more successful, and more profitable. The reason that we received this recognition along with the Investors In People Gold Award is because we know that with all the emphasis on technology and the virtual world that it is important not to lose sight of the most important skill of all, our ability to connect with people. At Lewis Ballard Limited people are our greatest resource, and our goal is to change positively as many people’s lives as possible and to truly make a difference in their lives. This includes all of our employees and our clients. Our sole purpose is to help small business owners achieve their full potential. We are continually on the lookout for new and better ways of doing things and look to the world’s leading experts including, Tony Robbins, Paul Dunn and Michael Heppels to teach us the things we need to know to be and do better. All of these skills are being shared with our clients so that they can benefit as well as using them at Lewis Ballard Limited. This approach has added massive value and the feedback has been tremendous. The reason I was drawn to iMA was that through the years I have learnt that the only way to be successful in businesses and in life is by truly communicating with people. When I saw how simple, yet powerful iMA is then I had to learn more. The decision to become an iMA Practitioner was an easy one. It enables me to teach and share these principles with everyone I come into contact with in a positive way and help change their lives for the better. On a personal basis it helps me to understand the different personalities and helps me to communicate and hence connect with my family and friends much more effectively. By bringing iMA into the workplace it helps to reduce the stress when dealing with the team and also helps to reduce their stress levels as I now understand what makes them ‘tick’ so to speak. We have recently trained the team and they all now have a greater understanding of each other and also the clients they deal with. This has led to a more positive harmonious office and greater productivity. Would you be interested in finding out how to ACHIEVE extraordinary results? Would you like to learn new and exciting ways to CONTRIBUTE to others in your life? Would it be of interest to you to EVOLVE to new levels of performance? Carolyn established her coaching practice, “Astrum Coaching Limited” for the purposes of supporting professional performance and personal success of individuals and organisations seeking positive sustainable behavioural change. Many athletes and business executives use a coach to empower them to improve on and enhance that which they have already accomplished. Carolyn assists you to access what lies beyond the norm, discover how to play a high level game and empower you with the tools to take things to the next level of performance. She is an accredited coach committed to partnering you to achieve your goals, to support you in finding your motivation and to assist you to create an extraordinary life. Carolyn is a highly accomplished performer with a vast variety of accomplishments, ie being a university lecturer, a NZ World Archery Champion, a NSW Indoor Netball representative, an Australasian Knife Throwing champion, managing the Central Hub of the Chief Executive in New Zealand’s 4th largest city, and performing (in dance) on centre stage at the Opera House in Sydney. She has achieved qualifications such as a Diploma in Business Administration, Graduate Certificate in Business (Executive Administration) and Certificate in Management, all of which serve to support her ability to partner those interested in exemplary performance. 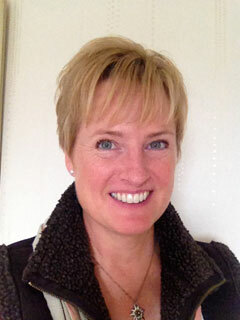 Carolyn’s business is all about Perfecting Experiences in both Life and Business. As an iMA Practitioner she works with High Performing Teams and individuals providing them with the necessary communication tools to produce extraordinary results. iMA provides a clear platform from which to facilitate conversations providing an understanding of communication preferences within both her coaching practice and team workshops. Carolyn is also an Area Coordinator for BoB Clubs NZ (Business over Breakfast) - creating effective networking opportunities for local businesses to develop. What attracted me to IMA in the first place? How am I using it personally? How am I using it in business? I was introduced to iMA by Philip Hitchen after we met in January 2015. Phil and I have worked together quite a bit since and I witnessed how he was growing his business using iMA. My work as a Communication Trainer, Growth Coach and Live Marketeer means that 100% of my time is directly dealing with people all day, everyday. I saw iMA as a way of enhancing my training and communications. Knowing about iMA pricked my curiosity and I started to see what a difference it could make to relationships on every level. By January 2016 I couldn’t wait any longer and qualified as a iMA practitioner so that I could begin to spread the message far and wide. Understanding who I am help enormously and I am now even more understanding of others now that I can determine if they are a High Red, High Green, High Blue or like me a High Yellow (although that was always obvious). I instantly incorporated iMA into my training and coaching and it is being widely embraced by my clients, who connect with how it works very quickly. It is extremely effective on every level: how I work with them, how they work with me, how they work with their clients and their work colleagues. In no time they are asking people they know to use the iMA algorithm. iMA’s accuracy and simplicity is the key. Hopefully one day the entire planet will be using iMA, there is no down side! John served in the RAF for eleven years. Subsequently, he joined Visa International, becoming a Senior Vice President, with experience at a senior level of creating new services and leading teams in diverse areas including the Visa International ATM network, business education, product development and European customer support. On leaving in April 2001, he established Yes! And... to become a professional facilitator. 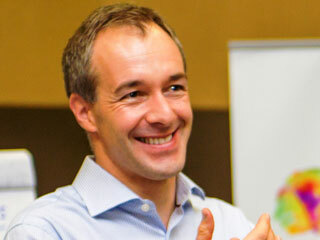 He facilitates teams to achieve their outcomes more effectively and efficiently by thinking more creatively, communicating more powerfully and creating agile action plans. John believes that with the pace of modern life, people need simple tools that they can apply immediately to achieve success. iMA is very simple for people to remember and put in to action whilst producing powerful results. 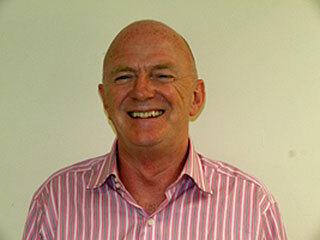 John works internationally on a regular basis in Western and Eastern Europe, the Middle East and Africa and is an experienced multi-cultural facilitator. He facilitates workshops for innovation, strategy, business planning, process redesign, team development, induction and others. 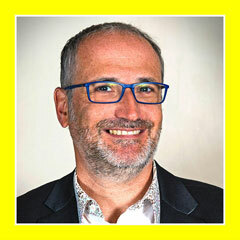 He provides training in Innovation Capability, Creative Thinking and Powerful Communication. 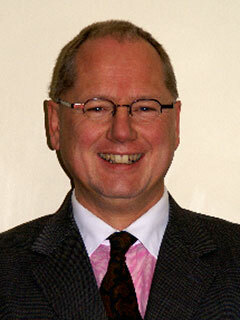 He is also a tutor for the Open University MBA, Creativity and Innovation programme. His qualifications include: Master of Business Administration; Kaizen Black Belt Facilitator; iMA Facilitator; Solutions Focus Professional; NLP Business Practitioner; Basadur Creative Problem Solving Facilitator; Buzan Mind Mapping Trainer. Organisations worked with include: Army; Aegon Insurance; B & Q; Baxter Health Care; BT Wholesale; BSkyB; BNFL; British Council; Certis Europe; Direct Line; European Central Bank; EADS DS; Irdeto (NL); Intel Ireland; Department of Constitutional Affairs; Lloyds Group; Ministry of Justice (UK); Ministry Of Defence (UK); Naspers (South Africa); National Australia Group; Office of Government Commerce (UK); OpenReach; Royal Air Force; Rooftop Finance; Turner & Townsend; Visa Inc and Visa Europe; Weight Watchers (UK). I am a fully Accredited and Registered Member of the British Association of Counsellors and Psychotherapists MBACP (Accred) and a UK registered Counsellor (UKRC). I am also an Accredited iMA Practitioner. 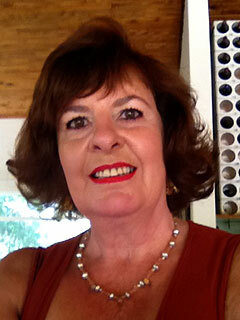 I undertake a variety of work from short to long term "Integrative" therapy & coaching. The sessions depend upon the requirements of my clients. I am also a Psychological Needs Practitioner in an Employee Assistance Programme (EAP) provided by AXA PPP Healthcare. With all of the emphasis on the virtual world it is important not to lose site on the most important skill of all, our ability to Connect with others. I use the universal language of iMA to help individuals and my corporate clients Connect at every level of their lives building trust, communications, compatibility, cooperation and understanding and reducing stress and tension at home, work and in social situations. My background includes a wide range of experience working with individuals, and corporate including managing my own business 'Health on the Park' to working with Estee Lauder as a business developer. I have acted as a counsellor for Road Victims Trust, Mind UK, and Youth Information Services and have lectured at Bedford College. This experience has led me to believe that it is critical to know when to change. When to replace what you are currently doing with a wiser and more effective system of being. iMA is about making such a change. 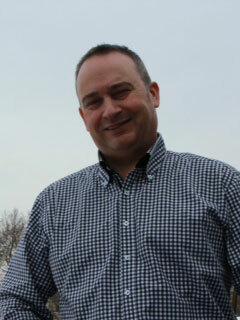 Jim Craig has a wide range of experience gained through a career in information technology. This has involved roles in; technical pre-sales, marketing, knowledge management, people and organisational development and corporate social responsibility and sustainability. Jim has worked for some of the smallest and largest businesses in the world, from being a business owner himself, through to the IBM Corporation. Author of "5 steps to profit from corporate social responsibility" a guide aimed to help business owners and executives, grow their business, by being a better business. Jim is passionate advocate of helping people develop, and realise their true potential, recognising that it's not organisations that change, it's the people within them that do. Increasingly people are looking to own, run, or work for responsible organisations. Ones that aim to tread lightly on the earth, and act in a socially just manner. 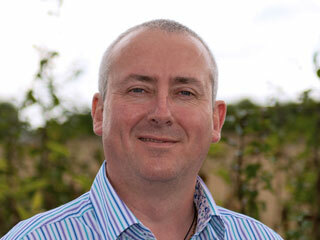 Steve Downing, Associate Professor of Strategy, Director of the Henley Centre for Sustainable Enterprise, had this to say "I have been very pleased to have Jim Craig support the delivery of a Responsible Leadership programme for a British global technology firm. Jim has presented his experience of developing sustainability at Sun and Oracle very effectively showing a great combination of practical insight and up to date knowledge of resources, networks and theory. On the same programme he has also worked with a group of senior executives, listening to proposals for new initiatives, giving them supportive feedback and serving as part of a panel of experts taking Q & A in a plenary session. Again Jim came across as credible and helpful. 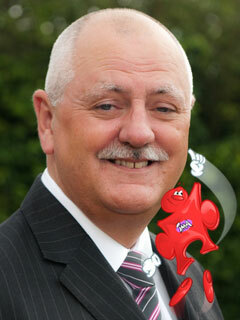 I hope to have the opportunity to draw on Jim's support in future leadership and change development programmes". One of the most important aspects of his work is in helping business owners, executives and employees communicate better, especially, but not limited too, corporate social responsibility. 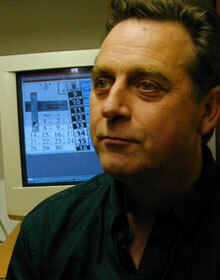 Jim is proud, and excited to be one of the early practitioners of iMA, and can see great potential for its use. My name is Clive Digby-Jones, originally a business leader, I am a Consultant in Innovation and an Executive and Leadership Coach based in the USA. I specialize in helping people at all levels in an organization and elsewhere to connect and create new futures, maximize projects and achieve exceptional results. When I modeled Walt Disney for the Disney Corporation, the key to his managing creativity was to incubate highly creative teams. Today, with rapid technological change, social media and jobs under threat, people’s attention span is minimal. We need a simple and proven cloud based behavioral software solution to help and teach people to connect... iMA. When I discovered iMA in 2008, I saw some 60,000 people on Ecademy move quickly beyond age, ethnicity, gender and cultures and create lasting and profitable relationships as they identified their iMA color and added the iMAge to their profile. I find iMA to be a fast systematic mechanism which connects people right across the board in all areas of their professional and personal lives. My experience: Management up to CEO and Group Board level; Innovation consultant with clients like Disney, Unilever, Hewlett Packard and BMW; Leadership Coaching with Executives from companies like Shell, Campbell’s Foods, Added Value Group (WPP); led a psychotherapy and counseling organization. If you are interested in Business Building, Productive Sales, High Performing Teams, Aligned Management and Staff, Dynamic Teacher/Student relationships, Improved Parenting, or Harmonized Human Relations, please contact me. Created and built by human energy into an energy source of its own, with its own heart and pulse, your brand is driven by passions and purpose and guided by values to which it gives a voice. It can start and influence global conversations. It can create, lead and participate in communities and tribes, build strong teams, leave behind (digital) footprints. It could do all of this whilst ‘making a difference for good’ in our world. Trouble is, just like humans, brands can lose their way - or fall at the first hurdle - or not even get off the starting block. No ‘mojo’. Focus, guidance, motivation, teaching, coaxing, applauding, rewarding... it responds well and flourishes with all this kind of attention. It deserves it. After all, your brand is what connects your business emotionally with your customers and influences their buying decisions. At every touch point your brand is giving off signals - words, tone, visual clues, consistency, authenticity, congruency. Your customers are picking up on these and talking about you through the power of social media and impacting on your credibility and reputation. So before your brand reaches a crisis point and needs CPR, perhaps a small preventative check up may be in order. A Brand Pulse Check. I am a Brand and Story Specialist and Founder and Editor of iMojo - Brilliant Brands begin with you! 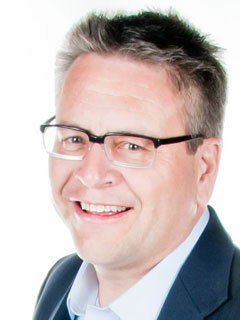 In my former life I have created and run a successful Marketing & Design Agency for 25 years. Today I focus on my experience and skill set that gives me the greatest buzz and delivers my own passion and purpose - helping other entrepreneurs to ignite their brilliance in a digital world. Combined with the art and power of storytelling, I use iMA in my 1-1 coaching and workshops. Mostly, I teach the iMA to business teams so they can quickly and easily learn to communicate more effectively with each other and to deliver the brand message and brilliance of the company accurately and with impact to the outside world. Having brought BNI to the Netherlands in 2002 and as the founder of “The Master Networker Institute” in 2008 , Jos is an internationally acclaimed networking development trainer. He is the co writer of multiple training courses aimed at improving networking results and is the author of the dutch language blog about Word of Mouth Marketing. 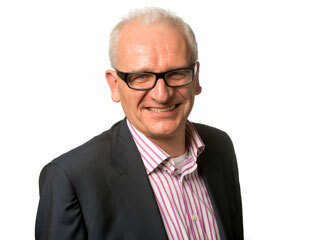 In 2010 he was awarded the European title Senior Marketing Professional (SMP). He aims to improve results in networking and through the structuring of word of mouth marketing programs, give people the tools to maximise their own personal productivity and effectiveness. He has lived and worked in Peru, Venezuela, Texas, Spain, Austria Switzerland and the former east bloc Czech republic, working in a variety of management roles. 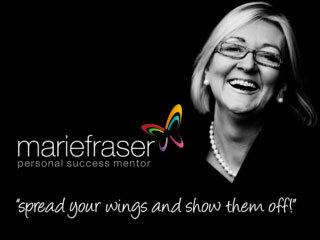 Sue Firth is a Business Psychologist, Stress Expert, Behaviour Analyst & Author and is a specialist in helping CEOs and senior executives manage stress, from an individual and group perspective. 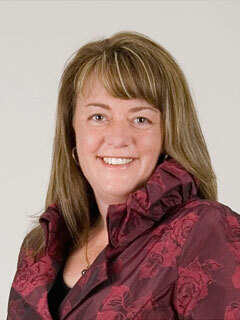 She is an international speaker & presenter and holds both a Batchelor of Science and a Masters Degree. She is a member of the British Psychological Society, The International Stress Management Association (ISMA), and The Health Professions Council. 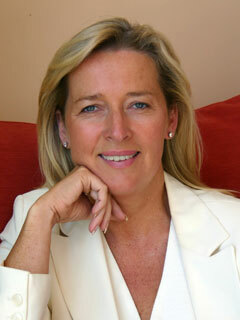 Sue regularly appears in the media and has been a guest/expert on ITV This Morning and BBC Panorama. Sue aims to make a difference to the way people think and to teach them how to moderate their own habits and attitudes in order to reduce any difficulties they have, whilst still maintaining their effectiveness. With extensive experience in consulting at strategic level for both the management of change and the implementation of stress programmes to support employees, she is well placed to offer insight as to how organisations can help their people handle life better in changing circumstances. Used to presenting Keynotes, half day and full day workshops, she regularly travels to the U.S. to speak as well as frequently working with medium to large corporate organisations, so that they can have an enhanced understanding of the best way to implement changes and shifts in structure or processes whilst still being aware of what people need. Her second site www.suefirth1on1.com describes her work with private clients whom she sees on a personal basis for consultations and confidential support. Her work includes encouraging and enabling better communication between men and women and supporting the discovery of different approaches to working well together both in personal relationships and in a professional environment. She favours the iMA programme because it is a pragmatic tool that explains behaviour, personal communication style, and the relationship to our stress type. We all revert to certain behaviours when under stress and this can be the downsides of our predominant working style or uses the elements of another iMA style altogether. It vastly enhances a person’s understanding of what is happening to them when they can simply and pragmatically understand how they are feeling, and how to play to their strengths whilst combating their stress. 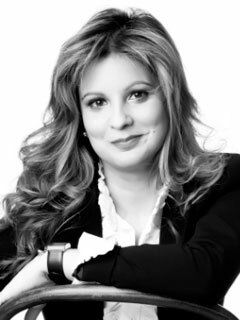 She works with a number of high profile corporate clients including Legal & General Assurance, The Academy for Chief Executives, Vistage International, Sun Microsystems, Scottish Enterprise Network and Aerosystems International. 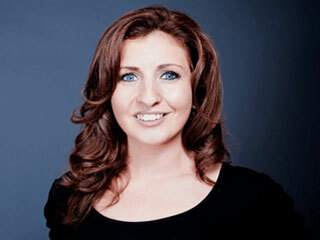 She has a practice in Surrey and a venue in Harley Street, central London. Whatever success looks like to YOU there is only one place to start to make that happen. And that’s with YOU and the relationship you have with yourself. It’s no wonder many of us lack confidence and courage when, from a young age, we are told not to rock the boat but to try and fit in. They are your wings - no one else’s and you have every right to show them off in all their uniqueness and glory - warts and all! And I tell you, when you do that you are ready to fly and to take on the world and all its challenges and to be the star in your own pantomime! What I do know is that personal success begins with effective communication skills and this is where iMA is the jewel in the crown. A simple yet very effective communication tool and one which will change your life for the better forever! I am passionate about individuality, no two people are the same and I deliver my bespoke mentoring sessions specifically tailored to you and your needs and desire for success. My name is Carole Gallant and I am the founder of create a future, an education company whose mission is to enable people of all ages to maximise their potential and live richer, fuller lives. We do this by helping people develop the skills and behaviours they need to in order to thrive in the digital age. I gained my Bachelor of Education degree and qualified as a Science Teacher, but started my career working with the United Nations in Vienna as a scientist and statistician. Since then I have worked for over 25 years in education, developing my personal interest in why and how people learn and the factors that influence success in education. I founded create a future in 2001 as a vehicle through which the courses and programmes that we developed could be delivered to a wider range of people. We have developed the UK's first academic skills coaching course (In SHAPE) within which we use a range of profiling systems to help students understand their personal learning and thinking styles. Since 2001, we have worked with just over 600,000 students and in any one year engage with around 400 schools providing workshops, award schemes, clubs and one-to-one coaching/training. A great deal of our work is with teens who particularly struggle with communications, which initially attracted me to iMA. I come from a media background, with an MBA in journalism (Paris II ). I was a reporter for years, for several TV stations, terrestrial and satellite in Lebanon, and the Middle-East, covering stories of war, people, politics, entertainment, social... , from live coverage under bombshells to TV shows concept development. I’ve learned about almost every department in this field, and worked myself in many of them. I have an extensive experience in advertising since I work as a voice over talent and a copywriter too. Translation became also a part of my work since I speak and write in Arabic, French and English. Through these years, I’ve learned the importance, the tricks and the traps of communication. Through iMA High, I discovered the importance of colors in order to better know the person we want to deal with. It is a simple yet effective way to better understand each others and resolve our conflicts in a peaceful way. iMA High is a peace tool, to a better communication, and for conflict resolution. If we know what color are the others, we understand them better, we know what they expect, how they expect, what stresses them, what are their needs. I am proud of being an accredited executive coach, hugely experienced in the Project profession, deeply immersed in the latest thinking on NeuroScience and all the advantages it can bring to people, teams and organisations. Comfortable working with complexity and theory I am known for the passion and belief I bring to developing peoples’ ability to accelerate their performance and achieve the best they are capable of. I do my best to approach everyone with the sentiment that I hold as my guiding principle “I’ve never met anyone who wants to do a bad job”. Constantly looking for how to help organisations and teams engage their people and increase performance, my objective is to support people to feel connected and consequently be more successful. I have found over many years of working in this field that so many processes offer great insights only to disappoint, precisely because they are overly complex and never get translated into action. Approaching iMA with scepticism and asking if it is not too simple, I have been delighted to see how the simplicity encourages people to adopt the thinking, adapt the way they are behaving, invite others to join them and feel more in control of not just their work but their lives. In a hugely enjoyable and successful career I have managed many large projects and programmes in the IT industry and led the Community of Practise for project and programme managers in Syntegra. I am now delighted to be working with a Project Consortium of specialist consultancies and industry expert project professionals who are asking the question, “Is your Organisation fit for your projects?”. We can see how iMA fits in providing a fast, effective, proven mechanism for engaging everyone in a team. Since engaged people are the greatest indicator of project success we have become strong supporters. This consortium is now working with Kingston University to create a brand new MSc in “Organisational Project Management”. Frequently asked to write articles and give presentations, I recently received feedback from an event for Fujitsu that “she really has a good grasp on the unique leadership challenges in the Project and Programme Management space and can offer much more than your average leadership guru”. I work closely with Prof Paul Brown on a number of initiatives designed to find ways to utilise the latest NeuroScience for the benefit of leaders. James Knight and I are excited about the number of opportunities we can see to utilise my experience of this field to develop further this fascinatingly useful language of iMA. Current/recent clients include CEO’s, Directors, Vice Presidents, Senior Managers, Project Leaders and various teams in such organisations as APM, BT, Communisis, Composite, County Council, CSA, ENRC, Merrill Lynch, Network Rail, PA, NHS, Visa. BA Hons English, MSc Gestalt Psychotherapy, Supervisor of Coaches and Consultants qualification, APECS accredited Executive Coach. Ultra Academy is a video based learning tool to help entrepreneurs develop key areas of their lives. We believe by focusing on 4 key areas of your life, loving what you do in your business or career, nurturing relationships both personal and professional, taking care of your internal well-being (or spirituality) and looking after your physical and nutritional health – you can unlimit your potential and be the very best version of yourself possible. UltraAcademy for Education and UltraKids Club teaches entrepreneurship in Primary Schools, Secondary Schools, Colleges and Universities. Delivered over the course of a term or academic year, our aim is to provide students with entrepreneurial skills essential in today’s world. UltraAcademy for Education and UltraKids Club seeks to provide students with the knowledge, skills and motivation to encourage entrepreneurial success in a variety of settings. My life journey so far has been extremely fulfilling and I have been fortunate to have had a varied and fascinating career, travelling to many parts of the globe as a commissioning engineer through to working with an extensive range of UK based companies, developing new promotional campaigns, from construction projects to on-line promotions. I have been privileged to meet and work with people from all cultures and backgrounds, rich or poor, and personally I have found India and Italy to be particularly exciting and vibrant. Helping people has always been a natural and instinctive part of my personality and I have always had time to listen, observe and assist. I have found the principles of iMA bring an important new dimension to all interpersonal relationships and as an accredited iMA Practitioner my aim is to help others to realise those benefits. I specialise with working in partnership with small and medium size enterprises using iMA principles to provide a positive force for the future of my Clients. iMA is the language of success, it will change the way you communicate and connect with other people. iMA is a surprisingly simple language to learn, yet it provides the force for positive change, through a better understanding of what motivates people to succeed. iMA helps people to communicate positively with friends and colleagues whether they are on the same or a different wavelength, this is called ‘connectivity’. Adopting iMA ‘connectivity’ as a driving force, will improve the relationship with your Partner, Bank Manager, Customers, Colleagues, Superiors, Employees, Professionals or Suppliers. When you connect with someone they see the best in you and will be more enthusiastic and supportive towards you, in doing so they are helping your business to achieve its objectives and success. Through iMA I can help companies to develop strategies to enhance and increase the effectiveness of their organisation and achieve their business objectives. By identifying areas of improvement for an organisation and by performing a comprehensive audit to evaluate your personnel’s effectiveness and connectivity, I will propose strategies to enhance management systems, stimulate enthusiasm and maximise connectivity within the organisation. I can offer a tailor made consultancy package consisting of sales training, personnel management skills, tutorials and inspirational seminars to take our Clients forward to the next level. I can provide you with a free impartial evaluation of a company’s website and on-line presence and an assessment of how effectively it connects with their potential customers. This can then be used as a basis to develop an on-line marketing and advertising strategy to increase the client base and traffic to their website, all within an agreed timescale and budget if required. We are a British construction company who operate in northern and central Italy, we were finding the economic downturn was badly affecting our turnover. We needed to increase the number of enquiries and contracts. Rob Hill analysed our market sector and recommended to redevelop our website and set up an internet advertising campaign which was something we had never felt confident to carry out ourselves. Rob Hill assumed full responsibility for the on-line sales & marketing, we agreed a budget and decided to review it on a monthly basis. 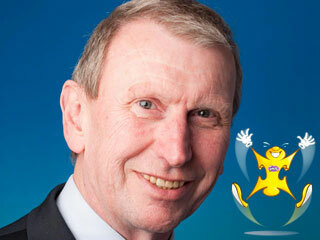 When the enquiries came in he dealt with all communication and secured appointments on our behalf. As a direct result we now have enough work to last into the middle of 2013, easily justifying the cost of the improved website and advertising campaign. 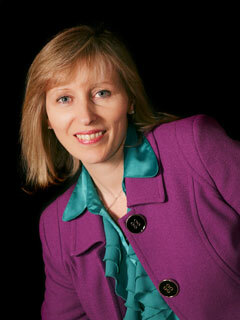 Tracy works with a wide range of international clients ranging from small businesses to large corporates. Her focus is to help them increase productivity and profitability using over 20 years experience, teaching them the things that they need to know or be reminded of to connect with their employees and their customers more effectively. Tracy started her career with a successful track record as a Project Manager and Business Consultant within the Telecoms Industry, having the pleasure of working with BT Syntegra for over 16 years. Tracy then set up her own consultancy business having several long term contracts which included BT Openreach, BT Wholesale, Fujitsu, AOL, Virtusa, Tech Mahindra and Amdocs, to name a few. Hi. Welcome to the practitioners page! I’m Phil Hitchen, the Belle Vue Coach. I manage and direct Belle Vue Manchester a leading coach transportation business in Manchester. All my life I have developed people to grow businesses for profitable sale. For the past 16 years I have recruited, trained and motivated a team of individuals to excel beyond the norm and help provide a leading customer experience within our industry. I live for fun. I just love having a great time and that includes work as well. We give our customers a great time, day in day out. We specialise in providing fun packed coach tours in the UK and Europe. Our biggest niche is our Yellow School Bus services. We specifically work with schools and colleges in Greater Manchester to help them reduce their transport budgets whilst still ensuring top quality results with drivers who go the extra mile. I also like to create a working environment that is fun to work in and where people can grow and flourish. For the past 20 years I have had a passion for personal development. I am a big student of Tony Robbins, the US life coach, and numerous leaders across the world. I always like to see myself, our team and our organisations grow and prosper, year on year. This year we have had 50% sales growth in a time when most directors of similar types of business in our Industry are stressed out, disillusioned and questioning their stability with numerous companies going by the way side. What has made Belle Vue grow and prosper in times of an economic down turn? Good financial control, detailed sales and marketing plans or good relations with our team and clients? Well all three of these but our biggest single denominator has to be how we manage our people. We live in a world of poor personal communications. Everything is so fast, technology is advancing so quickly that we live in the digital age where email is king and personal connectivity is reducing. Yet your success, happiness, effectiveness and future are dependent upon your ability to communicate effectively and connect with others. 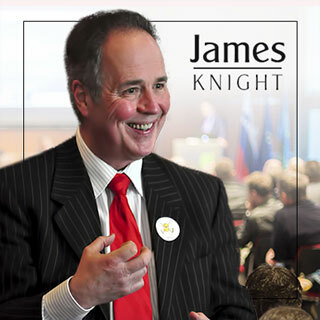 James Knight has spent over 25 years researching, testing, applying and teaching a universal language called iMA that can help you connect with people at every level of your life. In March 2011 James presented the IMA strategies to me and since this time I have implemented the strategies in my life to reduce stress and tension and increase sales and productivity. Needless to say I now work less, earn more and enjoy my passions of quality family time, playing golf and taking holidays more often. (This isn’t a dress rehearsal so live your dream!) If I can help you live yours - please drop me an email any time. After many years working for multinational companies, of which the last 5 years as Training & HR Project Manager, I started Ascent Training & Advise in 2008. 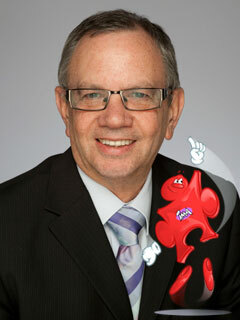 I am a professional trainer, educated at the JJ Trainers Academy and a qualified MBTI trainer. As consultant, trainer, coach and interim manager I support organisations, teams and individuals in periods of change. As a High Yellow I am dedicated to make a difference in people’s lives and help organisations grow and explore new ways of working, and also fully enjoy the good things in life. Having fun is essential for development! After 25 corporate years and 6 years as a consultant, I have learned that whatever you do, whatever your goals are and whatever you wish to achieve, it all starts with one thing: CONNECTING WITH OTHERS. Understanding of and compassion with yourself and others is the true fundament of success and happiness. I came across iMA at the very moment I realised this and was searching for a way to incorporate this in my personal and business life. iMA is exactly what the world needs and from now on, all of my training, advise, coaching and consultancy starts with iMA! I am David Holroyd-Doveton, The Digital Sherpa. I am a Marketing Strategist and Digital Marketing Coach with over thirty years experience in helping both well established and start up businesses develop and promote themselves, both offline and online, resulting in an increase in sales and dominance in their target marketing niche. I tend to focus on business owners who find it difficult to understand the new digital age and who need help in finding their way through the maze of platforms and online sites. I was first introduced to iMA by James Knight, The Master iMA Practitioner over two years ago while I was developing my own digital skills. I was immediately drawn to the simple yet extremely effective idea of the new universal language that James had developed. The language of iMA. While not knowing how to speak the language I did have a basic understanding as the principals of the language and used this basic understanding in many of my coaching sessions. The response that I got from those who attended my courses encouraged me to find out more about iMA. Over the past couple of years I have attended numerous courses and have looked at several areas in which to develop my knowledge so that I can be of more help to my clients. None of them seemed to excite me or meet what I was looking for. I kept coming back to finding out more about iMA and after having a conversation with James I came to a very quick decision that becoming an Accredited iMA Practitioner was what I really wanted to do. The knowledge that I have gained while I have been trained by James will I am certain hold me in good stead over the coming years. Being a High Red I have learnt of the many ways in which to connect with people from all walks of life. For a High Red this is not an easy thing to do and without understanding the iMA language, would have been impossible. I would now like to use these new skills to help both individuals and teams to connect with one another which will I am sure make a marked improvement to the quality of their lives and business success. If you would like to learn more about this exciting new language and how to connect and communicate with all the key people that influence and make up you every day life I would strongly recommend that you follow the iMA-Digital-Sherpa.com link. What are you waiting for! 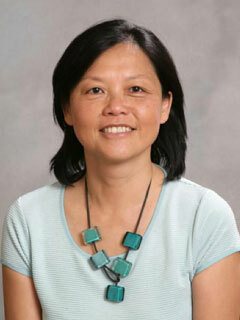 Hello, I am Liz Lee-Kelley and an accredited iMA practitioner. I have enjoyed a successful industry career which saw me transition from a technical manager to a manager of people in projects at both operational and executive levels. My research supports my personal observation that we need people who are committed and motivated in projects. Effective individuals are not only technically excellent, they are self-aware and able to reach out and connect with others with integrity and understanding. They are courageous in their decisions, yet empathetic, open to suggestions and challenges and willing to step outside their comfort zone. The challenge is, how can organisations and senior management help their employees develop that capability. I have found iMA to be an access-friendly proven tool with a strong theoretical basis. It helps my clients gain valuable insights about themselves and learn how they can personally make a difference in a project or programme. Organisations and their employees all over the world have benefited from iMA, including: Autotraders, Cisco Systems, Coca-Cola, Fujitsu, Accenture, Bellvue Coach, Jeyes Group, BHW Group, Distribution-Technology and Reed Global. I am using my industry experience and iMA skills to help clients operating in complex settings build communities-of-practice, high performing teams, develop managers who can modify their communication and coordination styles so as to lead their projects and make decisions with confidence. I am a true European with my Dutch and French nationalities, my German -sounding surname and the four languages I speak! I have 20 years of management experience in marketing & sales at international level. My wealth is that I have been working all over the world. It gave me the opportunity to get a better understanding how people think and behave. Those 20+ years spent in a multicultural business environment were a true personal study and enabled me to develop some tools to improve the way people can do business. After having spent many years managing people and driving businesses for multinationals, I decided to walk a different path. Time was come to share my knowledge and experiences with others. In 2008, I started my own business, WisePoint. I had a clear vision that business could be done a different way, with more ethics and integrity. This is what I call “Business Wisdom”. Since 2008, I am working as a Management Consultant, Trainer & Coach. Communication is a topic I am passionate about. Ultimately, it is not so much about what we communicate but more the way we do it. iMA is the right universal methodology for that. As an iMA practitioner, my approach is different from others. I now have the right tools that I can implement in even the most challenging situations. iMA is helping me fulfilling my mission! 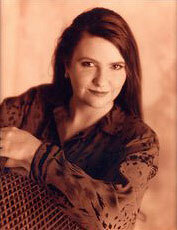 In 1992 Hazel engaged all of her education, training and skills acquired from University of Toronto (Psychology & Linguistic studies), Dale Carnegie – Public Speaking & Human Relations, and her in-house corporate training in negotiation and facilitation from a list that includes: General Electric, Intuit Canada, Crowntek Corporation, to equip her to stand at the bar in the Superior Court of Ontario. She also relied on her acquired experience in presentation, contracts, marketing and sales. 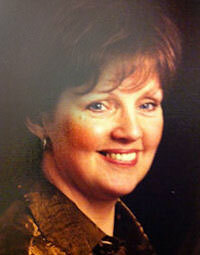 Eager to help others with peaceful negotiations, Hazel trained and was certified as a paralegal in 1999. Through the Human Resource Development Canada Self-Employment Program, she launched her paralegal business providing counseling, mediation, contract review and documentation. As the financial aspect is crucial to the success of helping the parties get to agreement and survive financially, in 2007 she became a fully-licensed Financial Advisor and is a member of Advocis. Recognizing the contributing factor of the aging population in personal and business communication, Hazel obtained her Elder Planning Designation. 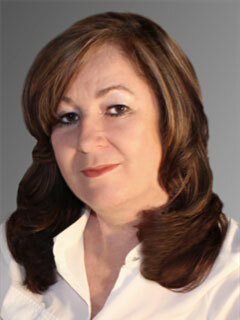 Currently she is the owner of The Conciliation Group and franchisor of Partners Part Peacefully. Through her conciliation, guidance and direction sessions and speaking opportunities, she has become a primary resolutions resource to professionals, individuals and business owners. 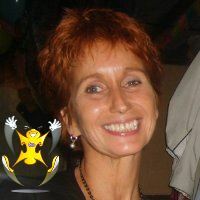 Through her own personal experience and working with individuals, families and business owners for over 19 years combined, she is a unique resolution specialist bringing forward Conciliation as the most desired option to save time, money and stress, especially where the parties have ongoing relationships. 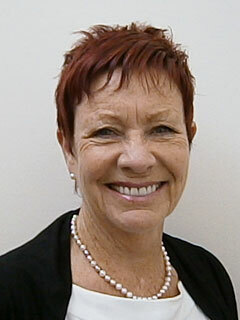 Hazel is proud to be an iMA Accredited Practitioner and excited about developing a deeper connection with her clients. She is expanding the scope of her work to help her corporate clients have a proven strategy through iMA of identifying and utilizing their human resources to realize and increased sales and profit. Lynn now lives with passion, purpose and possibility. She is a Business Owner, Personal Empowerment Coach, Trainer and Speaker and works in a number of business and community fields as an inspirational and empowering mentor. Within the Breast Cancer Network Lynn is a peer support volunteer for women and their families and conveys a strong message about life beyond breast cancer. Lynn is an Independent Arbonne Consultant and works passionately as a leader within this highly regarded health and wellness sector dedicated to bringing beauty, health and prosperity into the lives of others. 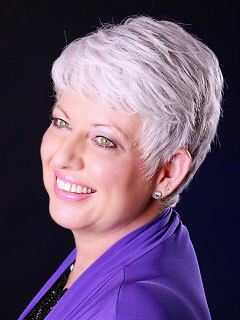 In the coaching and training arena, Lynn is the creator of “Imagine”, “Emerging Energy” and “Life Without Limits”, programs that have not only delivered the keys to embracing survivorship for those challenged with a life threatening illness but hold essential success principles for anyone with the motivation to live their lives with passion and purpose. Lynn is also a strong advocate for Heart-Centred Leadership and utilises her skills and experience in the professional arena to inspire leaders by bridging the gap between technical expertise and the often misunderstood social, communication and self-management behaviours. 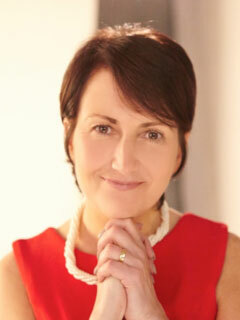 Lynn has a special interest in the psychology of communication and uses the principles of emotional intelligence to transform the spirit of people and cultures by changing perceptions, improving relationships, connecting people, managing change, inspiring heart-centred leadership and effective team dynamics. Donnie is an accomplished and sought after writer, presenter and contributor to a number of academic and professional bodies. He is a Visiting Fellow of Kingston University’s Faculty of Business and Law and co-leader of a new initiative on Organisational Project Management (OPM) and Associate Lecturer at Oxford Brookes University. 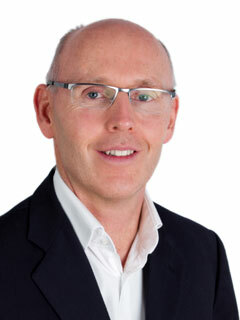 He is also co-leader of the OPM Group for the Best Practice Club, ex- chair of the Association for Project Management (APM) People Specific Interest Group and Associate of the National School for Government delivering a range of workshops to government departments. Donnie is a frequent contributor of articles to the Royal Institute of Chartered Surveyors (RICS) and was recently awarded the 2010 Donald Julius Groen Prize by the Institution of Mechanical Engineers (IMechE) for his contribution the “Projects for Engineering Managers” events. 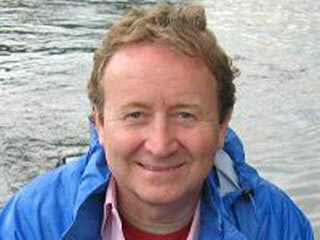 He is the author of the introductory chapter in the Gower Handbook of People in Project Management (to be published 2012). Click here to follow Donnie on twitter. 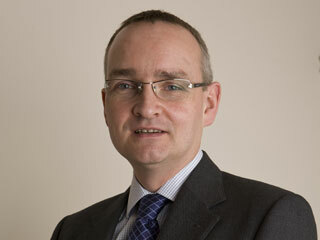 “James Moffatt is the Managing Director of Embed Learning Limited. The company was founded in 2010 after he had sourced external trainers for the company he worked for. They turned up, performed an average job (sometimes below average) and were never seen again until more money was waved in front of them. The value of training and development diminishes drastically unless it is used within 72 hours of learning. Embedding learning is what training should be about. 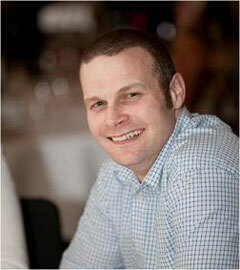 James served in HM Forces (Army & Royal Marines) from 1992 - 1997 as well as being a full time Firefighter from 1998 - 2000. He then went on to work for prestigious companies such as Vodafone, PRG, HSBC, Aston Martin and Guardian Media Group in Sales, Management and L&D positions. As well as being an iMA Practitioner (one of the first in the UK), James is also a Member of the Institute of Leadership and Management and a Neuro-Linguistic Programming Practitioner. As a High Yellow, positivity is a key trait which gives him the ethos of positive thinking. James believes we can control our thoughts and thoughts affect how we feel. Negative thoughts give rise to negative emotions, negative emotions can adversely influence our decisions and behaviours... Hence the power of positive thoughts over our behaviours and decisions. I’m an Entrepreneur from Kuwait. I have a consulting & training firm "EMARK Consulting", and beauty salons & spa company with a brand name "Charisma Lifestyle Salon & Spa". I love my work, in which I am challenged each day and have the opportunity to be creative in the workplace. I have a Bsc degree in Computer Science From Kuwait University, MBA a master degree in Management & Strategies from Maastricht School of Management, and planning to do my PhD in UK. I’m passionate about developing people’s life style and empowering them to reach their best potential, and support entrepreneurs to improve their businesses by applying life and business coaching, public speaking, and novels and articles writing. I started my business officially in 2004 and in 2005. Since then I have learned very important business lessons and how to turn failure into a success story. I learned the hard way, and today help make it easy for others to find their song and sing it. In my continuous search for developing my communication and interpersonal skills, I was introduced to iMA which I found to be fun, simple and very meaningful. At that moment; I decided to become an Accredited iMA Practitioner. I have learned how to teach others the universal iMA language and practice it personally. iMA is making dramatic improvements in my understanding of my employees and customers, in making decisions and is helping me in consulting and in my coaching business. As a physiotherapist and teacher, communication has always been a passion for me. My High Yellow nature leads me to interact with a wide range of people in my work; talking to students, to qualified staff and of course patients. Angela is a skilled business professional with over 30 years of experience, a relationship manager, a qualified coach and a keen observer of human behaviour. 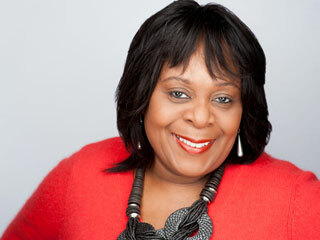 Her passion lies in developing individuals and companies, helping them maximise their differences and abilities. 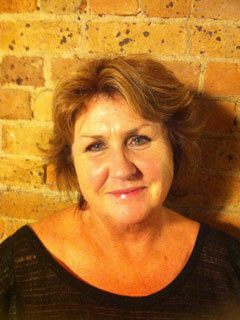 Angela has worked with smaller organisations, through to those on a truly global scale in NZ and the UK. Ranging from 120 employees to Rolls-Royce Global HQ with 12,000. A reoccurring complaint from employees in the organisations she has worked with is “the company doesn’t know how to communicate” but who is the ‘company’ made up of? The answer is ‘people’. Currently she is working for Australasia’s largest listed food company, managing the relationships between their NZ manufacturing sites and their suppliers. Her focus is on developing strong, productive and efficient partnerships with key suppliers. While within the organisation she has taken on the role of coaching colleagues in New Zealand and Australia working specifically on developing inter-personal skills through the introduction of iMA. One motto Angela lives by is “there’s no such thing as normal”. She promotes tolerance, and believes that it is easy to connect with those who are ‘similar’, but that often the real treasure in the world is found when we accept each other’s uniqueness and celebrate our differences. Through Angela’s career she has had an amazing opportunity to work with many hundreds of individuals. She’s developed excellent relationship skills, which greatly benefit her and add value to the companies she works with. She believes that by becoming an iMA practitioner not only has she enhanced her own relationship skills, but now has the tools to show others how to harness their own. I am a fully certificated Motivational & Life Coach with a wealth of knowledge in human resources and organization development . As an iMA practitioner, I use these simple but highly effective communication tools to not only deliver flexible, customized, personal support for individual clients in an impactful way, but I also teach them how to use iMA in their lives to improve relationships and communication for the better. 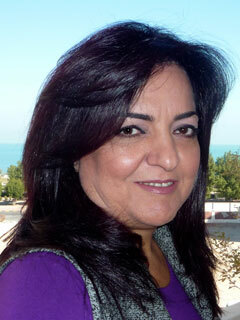 Naheed has more than 20 years of leadership experience in Sales and Marketing. An accomplished corporate strategist and marketer, her vision and expertise in business performance have driven notable enterprise growth in the telecommunication industry. Offering a unique blend of creative and operational strengths, Naheed has achieved exciting company and product turnarounds and is recognized for her success in growing sales and profits. Her experience and strategic approach to building a high growth business is reflected in her work as the Business Accounts Senior Manager of Batelco (Bahrain Telecommunications Company), where her customer approach and product focus resulted in delivering impressive bottom-line results. Further, her turnaround capability is highlighted by her accomplishments as the Senior Manager Corporate Accounts of Wataniya Telecom – Kuwait, where she led a team of sales responsible for business customers to record significant profitability and growth in the corporate customer segment through special products, packaging, account management, marketing communications, and efficient sales operations. 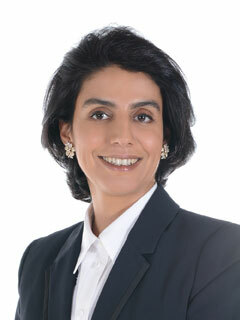 In 2006 Naheed decided to try a different and challenging career path, she started Al Jawab Consulting in Kuwait, working with various companies on developing their marketing strategies and direct sales capabilities, her exceptional track record of business improvement is based on her approach to providing business solutions. She is known for her ability to quickly identify and diagnose sales and growth impediments that go far beyond marketing, working with companies to refine their organizational structure, product lines, sales channels and market position. Her continuous search to develop and enhance knowledge, understanding, communication and connectivity brought her to experience iMA. Immediately she could relate to this simple yet deep method of analyzing and understanding others and how effectively it can help people get closer and communicate with each other on the same wavelength. Becoming an iMA accredited practitioner was the natural decision to enrich her existing capabilities further by adding a new dimension to her consultancy work with companies improving their market communication and sales force development. Naheed received her B.Sc. 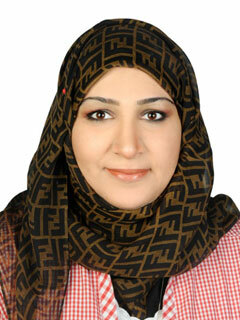 in Civil Engineering and Diploma in Advanced Management from University of Bahrain; she has also been trained and certified as job analyst and job evaluator with the HEY System and has presented several papers related to account management, customer profitability and the effects of telecommunication in various industries in different regional conferences in the past 15 years. 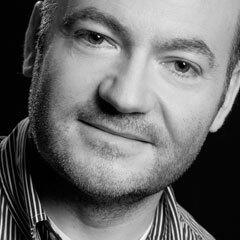 Accredited iMA Practitioner - High Blue • Consciousness Coach • Certified Practitioner of the Attractor Field Techniques • Founder of LiNNXX Solutions • Author of "The Universe Has Eyes"
Pádraic Ó Máille is the Founder and CEO of Smácht, one of Ireland's most dynamic organisational change management businesses. 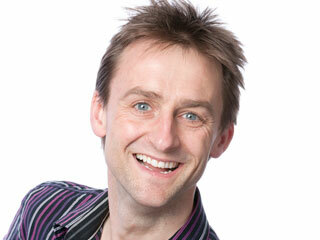 He is a bestselling author, an uplifting speaker and a skilled group facilitator. 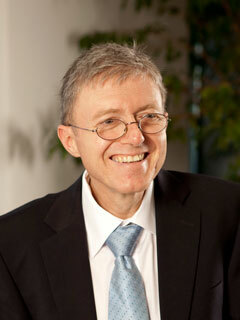 His core skill is inspiring individuals and organisations to make positive and enduring change. Smácht has helped thousands of people to develop the discipline to not just make change but to thrive on change. What attracted Pádraic initially to iMA was its appeal as an icebreaker to get large groups communicating better. Throughout my career I have always been on the outlook for ways to help people and businesses increase their productivity and profitability. In 2005 I founded a company here in Australia that provides support to small business owners in the areas of customer service, sales, and financial services to help them increase their overall the efficiency. I came across iMA in 2008 and found it very exciting and interesting. When my business grew I had the staff in the business all answer the iMA questionnaire. The missing piece was that I did not know what to do with that information. After a conversation with James Knight and discovering that he had recently developed a program where I could combine my already existing skills and expertise and be trained on iMA principles fundamentals and concepts and given iMA proprietary technology! I jumped at the chance! I am so excited about introducing the universal language of iMA into businesses and to help accelerate their growth, empowering their management and staff to grow personally as individuals and also as a team, positively impacting businesses enabling them to grow and prosper. In some ways that I am adding value to my clients include providing iMA Human Resource Audits, building peak performance teams, and half-day workshops. I enable organisations to communicate more effectively, both internally and externally, which then creates more engagement, productivity, profit and happiness. People really are the lifeblood of your organisation and the key to your success. Are you or your organisation striving for improved employee and management communication, team effectiveness, engagement with staff, volunteers and customers, retention of good people and more profitability? There are two vital ingredients - learning and using fundamental and proven communication skills and connectivity. Connectivity means connecting with mutual liking, understanding, trust and respect. Connectivity is a vital life, business and social skill and until now one we have little if any training in. When people and teams connect well and communicate well then cooperation, understanding, communication, trust, collaboration, engagement and profits go up. Stress and tension go down. Groups become teams and teams become high performance teams. People focus on valuing and utilising differences between people rather than ignoring or misunderstanding them. We are all on a journey and we all share portions of our journey with others. Allow me to help you get the very best from those shared experiences in terms of connectivity, communication and change. I am an Accredited Practitioner of iMA Colour Styles - the exciting new colour based language designed to increase connectivity and communication. 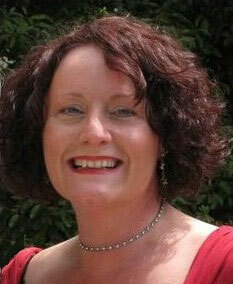 I am an Accredited Master Practitioner of NLP and an Accredited Practitioner of MBTI Step 1. I coach and motivate individuals and teams to achieve brilliance and optimal performance. I design, run and consult on interactive training courses and can also work with you to add more value to your existing training and team-building. Get in touch today and see how I can be of service to you and/or your organisation. Also please check out my growing list of informative and helpful videos both on the website and on my Eryrglas YouTube channel. For connectivity, communication and change. All my life I have been interested in financial matters, initially as a child this involved me finding the best savings accounts for my 'little pot of gold'. By the time I reached my teens I was helping my parents with their finances and following global stock markets in order to better understand the reasons behind the fluctuations. This interest meant it was a natural choice for me to study Maths and Economics during my A levels and then the later at University. On leaving University I joined the Rafters team.The experiences I gained during this time have led to an increased depth of knowledge in financial affairs. This experience has also shown me how important it is to see things from our clients point of view to ensure they are receiving the type of expertise that they want to receive. To help me and understand our clients needs and wants I have become an Accredited iMA Practitioner, which has enabled me to see things from their point of view. Becoming skilful in this area has proven invaluable in understanding what others are feeling and how they want to be treated. I'm a High Red... what colour are you? I’m a ‘bottom line' development specialist, using customer data activation, crm, direct marketing & creative technology expertise. Having learnt the skills of selling at Pedigree (Mars), brand management at GlaxoSK, marketing management as Marketing Director at Alberto VO5 UK, general management as MD at Alberto VO5 Asia, agency account direction as CSD at KLP (now Euro RSCG), launched TBDA in 1994 with data genius Richard Organ from CACI. Going successfully from learner to leader on both the client & agency side, has a practical 360 degree view of the 3 most important aspects of any business, the 3Cs; customer, connection & cash flow, for which an holistic appreciation, understanding & application of customer knowledge is fundamental. Clients call us ‘data detectives’ because we see pictures & gaps in their customer data others miss, discovering revenue & profit nuggets waiting to be activated by applying the right data and science to the art of creative, targeted database marketing & CRM. We have been doing this over two decades for large corporates such as Stagecoach (South West Trains, East Midlands Trains), M&S (stores and financial services), Viking Direct/Office Depot, Nestle, Premier Foods, Panasonic, IHG as well as several charities, mid cap & smaller organisations (b2c and b2b). During the last decade we’ve experienced the biggest correction ever in commercial viability. We increasingly hear the cry from clients ‘give me lean cost marketing’. We’ve developed it into what I call ‘internal marketing’ – an easy to embrace, fun method of enabling everyone in your organisation to understand themselves and each other better, and thereby work together more enjoyably, efficiently, effectively and productively, to better serve customers than your competitors. Liberated, energised, focused people = stronger sales, proven. A true and real ‘business development’ initiative - as accredited iMA practitioners this is what we can now also deliver for our clients. We are keen to work with companies that want to discover actionable data that can help build revenue. The beauty of data is that it describes people’s behaviour. The more you understand, the more creative you can be with your marketing to drive the prime sources of cash flow. The business development mantra is ‘better understand the people that matter, connect with them how they want, engage & involve them more’. We do the nitty gritty detective work where the “devils in the detail” to find the critical information, and then apply it to attract more profit from current customers and more new customers. iMA is another valuable strategy to deliver this vision. Brought up in Ireland, until age 11. In early adulthood I wanted to be a reporter; I have always enjoyed writing and have always had a strong desire to help people. I guess financial planning and financial guidance is an ideal outlet for me. Helping people to see, that what might, at outset, appear to be awfully daunting, is in fact fairly simple when all is stripped back to the core principles. 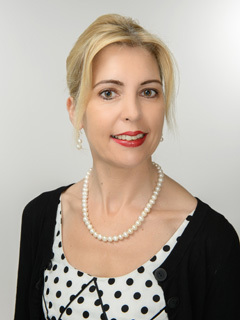 Bronwyn Richardson is the director of International Tradelink, whose company’s prime focus is to assist their clients take their products and services globally. Knowing the importance of connecting the right buyer with a seller is crucial and Bronwyn believes that the iMA program will bring great value to their clients in being able to prepare them and their staff for the added pressure that exporting a product or service overseas can bring on a company. 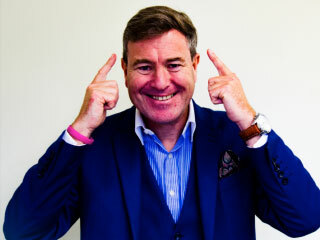 From his offices in London, Beijing and Singapore, Graham Rowan chairs the Elite Investor Club (www.eliteinvestorclub.com), a global network of sophisticated and high net worth investors dedicated to taking ownership of their financial future. Graham is also Chairman of Plain English Finance Limited, an FCA regulated company that provides Elite Investor Club members with access to the full range of regulated investments such as NISAs and SIPPS. Since 2013 he has chaired the Who’s Who of Britain’s Business Elite, the UK’s largest membership association for company directors who have to qualify based on the value of their shareholding. Graham is an international speaker on matters surrounding investing, wealth creation and wealth protection. In June 2015 he will speak at the United Nations HQ in New York as part of the Global Economic Initiative where he will launch the Plain English Finance Foundation. This non-profit organisation will provide free financial education and wealth coaching to people recovering from debt problems. Graham is married to Daphne and splits his time between homes in Richmond Upon Thames and Juan Les Pins in the South of France. I am the founder and CEO of Communication Partners, a highly specialised communications firm in the technology space. I have spent over 15 years in different leadership positions with leading technology companies such as TSB international, Sun Microsystems, and EMC., before founding Ruettimann Consulting in 2007 working as a personal consultant to CEOs and board members. In 2008 I experienced a major turning point in my life, when I woke up one day to find that I was paralyzed from the waist down. After seeing the top specialists in neurology , who all offered no hope for recovery I began the most important journey of my life that caused me to learn about health, neuro strategies and brain science. Through the sheer power of my will, and not accepting that I would never walk again, combined with my sincere desire to help other people I have now regained my health and along with Ruettimann Training and Research I am now focusing my business activities on the Personal Breakthrough Academy. I first learned about the universal language of iMA when I joined the business an social networking site Ecademy in 2009. I was intrigued at the time at the accuracy of being identified as a High Yellow after answering only a few simple questions. My interest was stimulated, and I wanted to know more so when I received an invitation to attend an online presentation by iMA, creator James Knight, to “Discover High Yellow Areas of Brilliance” I jumped at the chance. With a background specializing in communication I was immediately intrigued by iMA’s simplicity and as a researcher even more astonished about the depth of the framework. I am a true “iMA believer” and absolutely convinced that it will not only change my life but that of my clients and students as well. When I learned of the opportunity to become and Accredited iMA Practitioner, without hesitation, I jumped at the chance. I am using iMA principles fundamentals and concepts at my home, and my work and also socially. I am delighted to now have the opportunity to teach others about iMA because these are the things that they need to know to live richer fuller lives. After leaving school, I studied beauty therapy and make-up artistry. I furthered my studies into "the Japanese art of Beauty" Marketing and Interpersonal Managing Skills. I supported and advised celebrities and high profile people on both skin care and make-up techniques. I was invited to Europe in 2003 where I headed up the international training division of a very large, upmarket and exclusive company. 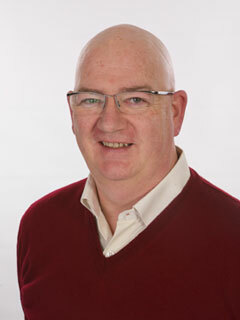 I'm an Agile Coach specialising in Scrum and Kanban coaching and implementation with over 25 years’ experience in IT and industrial computing. My skill and passion is to bring positive change to willing organisations using Agile practices, principles, and values that result in an enjoyable, prosperous, and sustainable workplace. As a certified Scrum Master, Kanban Coach, and ISEB qualified Testing Practitioner, and an iMA Practitioner I have successfully introduced Agile into organisations both IT and non-IT and guided them on the journey to becoming “Agile”. Through lightweight but highly effective use of workshops, training, Agile games and Proof-of-Concept sprints, stakeholders and newly formed development teams very quickly see and feel the benefits of the framework. With a light-touch leadership style, I am happy to take “Ownership without Power”. I pride myself in my ability to demonstrably evangelise the Agile Manifesto and Principles and bring them alive to new audiences. What attracted me to become an iMA Practitioner? Working with technical and business people on many IT projects over many years , I have always observed that more often than not, an inefficient gap existed. I see iMA as a light practical tool to can help close that gap. iMA allows me to understand myself better and be quicker at identifying other people types. With these two skills, I will inherently become a better communicator. iMA skills will allow me to become a better communicator in business. Ultimately, I will use iMA to become a "Communication Improvement Evangelist" in the work place and bring real, high value improvements to businesses. 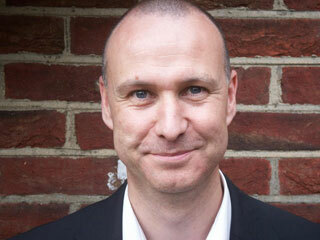 Paul Sherwin is the Director of the Cost Saving Group. Hi I’m Conrad Swailes, born 1966, year of the horse, I’m Aquarian and iMA High Red. I’d like to give you a quick background on myself so you can start to get to know me better. I graduated in business studies at Bournemouth University a long time ago now! I then qualified with CIMA whilst working at the Financial Times where my first senior executive position involved taking over the FD position in an FT acquired subsidiary at the age of 24. I was right at the heart of publishing when editorial advertising & production all began to go digital and online. I married my wife Fiona at 25 and then followed our dream and started a career abroad with a major Marks and Spencer supplier in Sri Lanka, Asia and The Far East, in a fast growing company eventually employing over 35,000 people. The start of a truly Born Global business career. My two kids Jordan and Mia were born in Sri Lanka in a colonial nursing home! Still involved in fashion I went on to work with one of the UK's infamous entrepreneurs Richard Caring. After completing a role as Director in a large JV purchase and resale, I was appointed MD of a UK and Near East supplier to retailers such as Arcadia, Next, Top Shop, New Look and many more. In the last eight years I have been involved in a number of successful independent businesses in fast developing areas, including online marketing & communications. I did a rough calculation on the amount of online sales I generated for my customers over the last eight years, which included various household brands, and the figure was unsurprisingly hundreds of millions per annum. But more importantly is seeing and understanding the growth rates, where three figure annual growth is the norm even today. I cant stress how important it is in that my solutions combine my hands on business experience with cutting edge online marketing communications to give my clients outstanding results. I recently decided to walk the talk and have started to build my own ecommerce group, built on my sourcing experience, global distribution network, web & marketing communication skills to launch IVcuff.com a quality designer shirt brand for business and pleasure. Shirts with Integrity with a twist. Quality and Charity at the heart of our new brand. My involvement in the marketing communications sector is no accident. I recognized it was a sector I had not mastered and after eight years involved in the new media space my results speak for themselves. Indeed online marketing is not just about online in the UK but has broken down all the global trading barriers. Many of my customers have expanded online, but also across the globe as well. Identifying an opportunity, applying the right marketing communication channels, technology, and successfully implementing it is what I do for myself and that I help other people and businesses do Globally either as a consultant or a participating partner. Clear and effective communications through every channel is a key element in everything I do. I have spent most of my life relying on my natural ability to lead and communicate with people but one major breakthrough for me happened only four years ago when I met James Knight and he gave me the gift of iMA. I now use iMA in many different ways. Verbally, written, emails, relations, web copy recruitment, management, team structure and probably the most important is in conflict situations. To this end I became an iMA practitioner and now pass the gift of iMA onto others through www.iMAlanguage.com. As a Born Global businessman I also realised how iMA also transcends all cultural and language barriers. Its fast and effective especially ideal for high reds like me! The world of business has always been about people and markets and successful communications is at the core. Nothing new just a lot more complicated largely by technology and jargon. Knowing how to harness all the new marketing communications channels and make your brand, product or service work is what I’m about. It’s all about communications and I communicate in a language everyone can understand. With over two decades of hands on experience with the world’s leading blue chip companies, Susan Tainton brings a broad spectrum of skills to TBC. Having taken a double major honours degree in Physiology and Pharmacology she went on to take membership examinations for the Institute of Leadership and Management before obtaining a Masters degree in Biology. Added to this Ms. Tainton has professional membership of the Institute of Food Technologists (a globally recognised body based in the US), the Global Network of Food Professionals, holds an Associateship in the British Society of Flavourists and is now an accredited iMA practitioner. 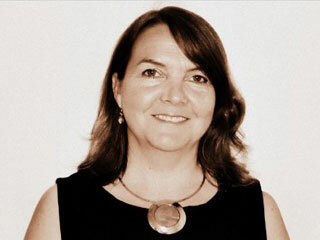 Having worked with global blue chip companies such as GSK, Coca-Cola, Diageo, and PepsiCo, Ms. Tainton has worked in the UK, US, Europe and Australia and has covered specific assignments for Africa, the Middle East and the Far East. Susan has served on technical panels such as Food Science and the panel for Sensory and Consumer Insight at Campden BRI as well as various committees for the British Soft Drinks Association. 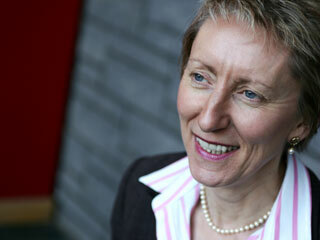 In addition, she was a member of the UK Crown Commission Technology Foresight Programme - Food and Drink Sector Panel. Ms Tainton is a technical author writing variously for Zenith International (globally recognised publishing house), Soft Drinks World, The Point, and Edge. Recent clients have covered industries as diverse as wines and spirits, flavourings, botanical extracts, health food, and food retail. In today’s competitive world innovation is the lifeblood of the enterprise. The ability to continuously innovate, manage complex brand portfolios, and deliver high performing products to customers and consumers also requires excellence in operations. Effective product commercialisation becomes key to guarantee expected return on investment. However, for some, more mature successful organisations excellence in product innovation and commercialisation alone may not be enough. The question then becomes one of renewal—what needs to be done to stay ahead. TBC offers practical, pragmatic, business-oriented help providing client-configurable services in three key areas: Strategic Planning and Conceptualisation; Coaching and Development; and Commercialisation. 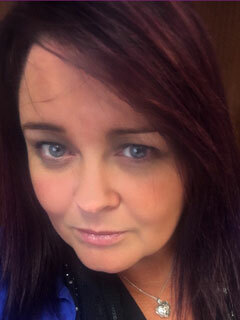 My name is Donna Thompson, I am Head of Business and Operations at Belle Vue (Manchester) Ltd a leading coach transportation Company in the Northwest of England. My role is very diverse and no one day is ever the same. I joined the company in 2012 after an impromptu visit to finalise the sale to Belle Vue of the coach company I worked for at the time. It was not my intention to work at Belle Vue however the MD Phil Hitchen offered me a position on the spot even though they did not need any further office staff at the time. Phil’s vision for Belle Vue was clear, explicit and exciting, how could I not want to be part of that. Little did I know then that Phil, who had become an iMA practitioner earlier that year, saw potential in my leading abilities that even I was not aware of. Each opportunity offered to me has been a welcome challenge that I have succeeded in. I have a successful track record in coaching and training which includes ten years working at the AA as a Team Leader and Training Officer. This involved training new team members on all things AA, systems, policies, customer service, sales and administration. As a Team Leader I performed regular one to one sessions with each member of the team which also included coaching sessions to enhance their cross selling techniques to achieve their set targets. I have always been interested in personal development and helping others reach their full potential whilst always focusing on my own personal goals. I am a typical High Red and since learning just the basics of iMA in the first instance, this gave me the knowledge I needed to communicate with others in a more effective way that was beneficial to me and those who I was communicating with. Now, as Head of Operations, it is extremely important that I am able to communicate with my team to help them be the best they can be. Showing appreciation to so many individuals on a daily basis sounds a daunting process, however since becoming an iMA practitioner I now have the knowledge and insight on how to identify the different communication styles required for of each member of my team. Getting to know them all and knowing what makes them tick is an important part of helping them achieve. I now have a refreshed feeling of confidence that I can lead my team effectively and lead them in the right direction to reach their full potential. So our team can communicate effectively together, we all have iMA recognised name badges, the driver team have their own iMA logo on their work trays, the management have their iMA colours noted on their emails, iMA is advertised on our buses and coaches and often stirs up conversation from our passengers. All potential new members of staff have to complete the iMA questionnaire as part of our recruitment process and we deliver iMA training within our induction process and we also have iMA refresher courses through the year. 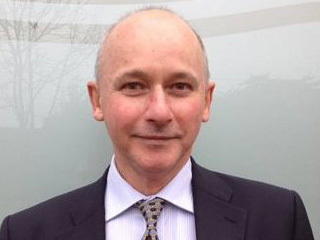 Steve Thomson is founder and project director of Profile Training, which provides custom training, coaching and mentoring for businesses and individuals worldwide. “With a background as a live event, and radio presenter it's natural that my focus when I turned to training in the mid 1990s was on presentation skills, and that remains at the core of my business today. I feel strongly that we are all engaged in making presentations all the time and in all possible circumstances, so of course it's vital that we become the best presenters we can be in order to achieve our personal and business goals. I use and teach the language of iMA extensively within my workshops, as it offers an invaluable insight into the style and mood of communication that will best achieve the goals we set for ourselves when speaking with or to others. I'm also very excited to be able to use iMA within organisations as a means of enhancing interpersonal communication, minimising friction and developing stronger teams. Author of The Sticking Point, contributor to Business Executive magazine, Conference World, Exhibition News, Cynopsis Digital Advantage. Clients include: Heineken UK, British Red Cross, Mindshare, Ipsos MORI, The National Archive, Capita Resourcing, ImPress International, Tearfund. I am a business coach and Director of BeCollaboration, an organisation that pulls together top talent and professionals to work together on projects to give our clients the best possible integrated packages that ensure their success. As a 'High Yellow' I am very passionate about people and what makes different people tick and how they prefer to be communicated with. It is this passion that led me to studying psychology at University, to become a Master NLP Practitioner, a DISC Personality profiling consultant and now an IMA Practitioner. IMA will be a vital tool within my business, which is a Graduate recruitment, coaching and training company. We help our clients find the best junior level sales talent in the country, then place them into roles and provide them with the exact Sales, business and personal development training needed to succeed. Companies invest lots of money and time with recruitment and wrong decisions can be very costly. This is why I will be using IMA to profile the top Sales performers of the companies I work with to ensure we can match the best people and help them avoid costly mistakes. IMA will also be used in the Coaching and training school of my business. It is vital that our graduates know how to communicate to the employers they're interviewing with and once placed into a role that they know how to communicate to my client's customers to maximise revenue. It will also help our graduates deal with their colleagues to avoid any negative office politics, which will maximise retention. Understanding and utilising IMA within my business will ensure the best hiring decisions are made, that my candidates know how to interview well and it will ensure maximum retention and Sales results. I became an Accredited iMA Practitioner because I knew it would help me communicate with others more effectively. Although I am a High Yellow I come from a muddled High Green ("Rocket Scientist") / High Red (son of an accountant) background. Learning my comfort zone was the first step in the recovery I did not know I needed. I have been much more equipped to communicate since. I started my career in 1989, and have spent 14 years in sales and leadership roles for large and mid-sized companies in Belgium. My clients were large organisations and governments in EMEA and Asia. During this time I travelled throughout the regions to negotiate and win contracts. In 2003, I decided to realize my dream of being my own boss and provide added value services to other companies in order to help them creating the future of their business. My clients are based in Europe and cover various industries from telecom to bank, from energy to SW and from Defense to public sector. People are the real capital of companies, and my aim is to facilitate communication between people. I speak fluent French, English, Dutch and German. Are you interested in being easily CONNECTED to other people? Would you like to learn how to COMMUNICATE effectively with everyone in any circumstances? Are you interested in improving the EFFICIENCY of your teams? Discover your area of COMFORT that makes you successful. iMA will be a vital tool within my business, which is providing help to companies in creating the future of their business. We help our clients to solve crisis situations - for instance go to another level in growth or turnaround - face a temporary loss of a key manager or improve management and team results through an increased positivity and productivity. These situations are generally the result of poor communication, bad connectivity of huge inappropriate stress. iMA will be used to make people aware of their own comfort zone and communication language. It will then help them in getting the appropriate language to the other members of their team, of the company and even in their interaction with external parties (bank, suppliers, customers, ...). This shall help owners and managers in improving the relationship with their employees and hence their retention. The beauty of iMA is its simplicity. Everybody will remember their color and what it stands for. People get benefits from iMA from the moment they are aware of their color. A team aware of its members' colors can achieve transformational results. From the age of 4 years old I could see and hear the unseen. I have always been fascinated by the Power of the Mind and the way we communicate with each other. After years of studying and educating myself in Personal Development, I decided to open my own business to Transform Your Life From The Inside Out©. 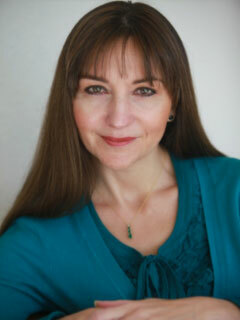 As a Clinical Hypnotherapist, Speaker, International Author and The Intuitive Communicator I am passionate about educating others to believe in themselves and use their intuition to connect to a greater Source. Whether you want financial freedom, the abundance of improved health, better relationships, success in business or to simply relax, the answers you are looking for are available. What attracted you to iMA? I first met James Knight in 2012 at a networking event in London. I was very drawn to James as he had so much energy and passion and introduced me to iMA. After speaking with James for only a short time I realised I had to hear more about this exciting tool. I have been studying the Mind-Body connection and Personal Development for around 25 years and continue to personally develop myself to be the best I can be. I have studied the psychology of the Mind and Body and trained in Clinical Hypnotherapy but when I learned more about iMA, I realised just how simple, but powerful this concept could be not only in my own life but for my business clients. I immediately wanted to learn more and train to become an iMA Practitioner to share this wonderful concept. How has it heped you personally? As a High Yellow I am someone full of passion and have lots of energy for my life and business. I have started to use iMA for myself to find out more about ME and what makes me who I Am. I am so grateful to iMA as it has helped me give myself the greatest Gift – to allow me to be my true SELF. How will it help you in business? After studying Clinical Hypnosis and the work of Carl Jung for many years and understanding the four personality types of people, iMA has made life so much easier for me to give each person a colour. To understand my clients more and to be able to give them such a great tool for their own life and business. Also to be able to use the iMA Questionnaire when considering a client for a new programme or when working with me. We all speak in different languages to each other and as The Intuitive Communicator I can now incorporate iMA language alongside The Intuitive Language© giving a more balanced and whole outcome.